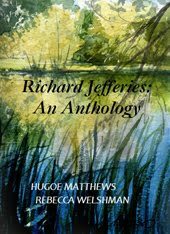 Richard Jefferies: An Anthology by Hugoe Matthews and Rebecca Welshman. This new anthology of extracts from Jefferies' writing is selected by Hugoe Matthews and Rebecca Welshman. It aims to highlight his broad, exploratory, and sometimes unpredictable nature in his works. The authors have focused primarily on short quotations which read well independently, and longer passages which demonstrate the context, the quality of the writing, or the flow of Richard Jefferies’ thoughts and observations. Where possible the selections are chronological and show a shift in the emphasis of his work from the 1870s, which focused largely on practical subjects such as farming and rural life, to his later work of increased sensitivity and perception of the natural world. Thereby they have sought to reveal the organic continuity and calm objectivity of Jefferies’ writing, which was present from his teens and addressed a diversity of subjects during an extraordinary era of change, illuminating both the man behind the words, and the times in which he lived. The Anthology is published in a case-bound, thread-sewn book of 266 pages. 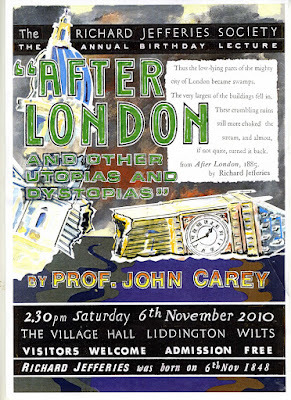 The book was published on 6 November 2010 to celebrate 162 years since the day the author was born. It can be ordered via the Richard Jefferies Society by debit/credit card here. 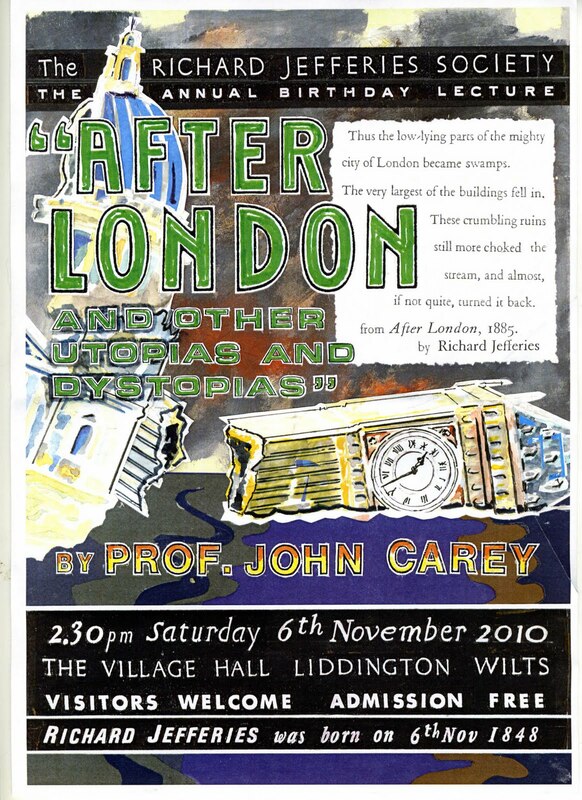 Professor John Carey (pictured above) will be giving this year’s Richard Jefferies’ Birthday Lecture on Saturday 6 November at Liddington Village Hall starting at 2.30pm, 162 years after Swindon’s most celebrated writer was born and raised at Coate Farm in 1848. 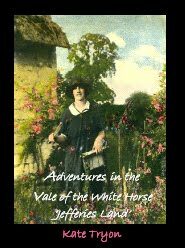 Exactly 100 years after Kate Tryon’s first visit to Swindon, to see the places that Richard Jefferies wrote about, her memoir of the occasion has been published by the Richard Jefferies Society.